President Barack Obama’s plan to increase the cost of electricity has been blocked by President Trump’s EPA Administrator, Scott Pruitt. The Obama plan was projected to hike electricity costs by more than 250 percent. 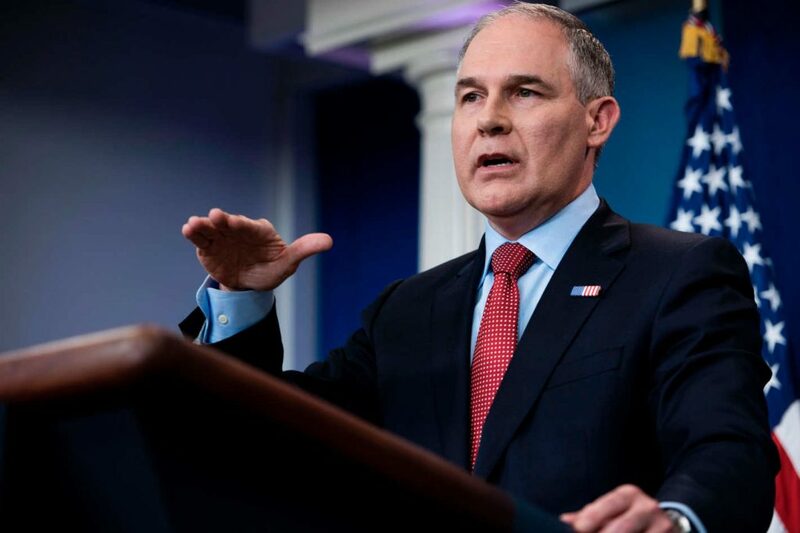 Pruitt’s action fulfills a 2016 campaign promise made by candidate Donald Trump to the American people – in particular, the promise to coal miners and other disadvantaged groups targeted by the Obama administration’s environmentalist policies. During his 2008 presidential campaign, Senator Barack Obama told the San Francisco Chronicle editorial board that, under his energy plan, “electricity rates would necessarily skyrocket.” Driving up the cost of energy in its various forms is a longtime goal of radical environmentalists, as reflected in the statement by President Obama’s first Energy Secretary, shortly before he was nominated, that “Somehow we have to figure out how to boost the price of gasoline to the levels in Europe,” about $9 to $10 a gallon. Not surprisingly, the plan was designed so that states that tend to vote Republican would have been hit much harder than Democrat-leaning states. Supporters called it the “Clean Power Plan,” but it was more properly called the Expensive Electricity Plan. Twenty-seven states and more than 120 business organizations, electric utilities and co-ops, and even labor unions sued to stop the rule, and they would probably have won in the U.S. Supreme Court but for the death of Justice Antonin Scalia, which altered the balance of the Court. Opponents of the Expensive Electricity Plan noted that it was aimed mainly as restricting carbon dioxide rather than carbon pollution, and that, even by the biased calculations of its supporters, it would have had very little effect on the environment. According to the EPA’s own computer model, the Obama plan if implemented would reduce the temperature by the end of the century by less than one-fiftieth of a degree—an amount that’s too small for science to measure—and would reduce the sea-level rise by a whopping one one-hundredth of an inch. Meanwhile, countries that couldn’t care less about Global Warming theory—Communist China, for example—would gain a tremendous competitive advantage over the U.S. as we deliberately impoverished ourselves. Earlier, President Trump withdrew the U.S. from the Paris Climate Treaty. That was a farcical “agreement,” illegal under the U.S. Constitution, by which, in return for cash and for the placement of court-enforceable burdens on the U.S. economy, dictators and kleptocrats around the world would make unenforceable promises to reduce carbon emissions. It was a treaty in support of which the Obama administration teamed up with the Chinese Communists, to push into effect before the 2016 election, in hopes of depriving American voters of their say in the matter. (See We Won’t Always Have Paris and our short video on the Paris Climate Accord.) What a difference it makes when, at least on the question of costly environmental regulations that restrict innovation, an administration has its head screwed on straight.